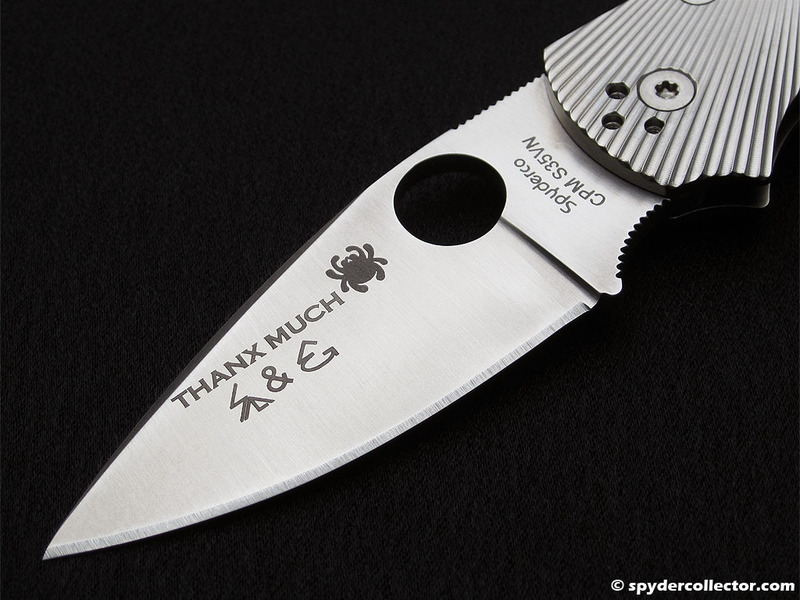 After the 2013 Amsterdam Meet, the Spydercrew gave me a familiar red and black box as a ‘thank you’. The box turned out to contain an -amazing- thank you that I simply have to show off. My only response was ‘you’re more than welcome!’, before I started to drool uncontrollably all over this brand new fluted ti Native 5. After that, it became a safe queen until I decided to give this knife a proper workout a few months ago. Because of the challenges in production, it took a long time before the fluted native made it to distributors, dealers and collectors. The knife does seem to be trickling down the distribution chain now, even if it is in very low numbers, judging from the sparse pics and reviews on the forums. I’ve carried and used this Ti Native for the past couple of months and my use of this knife won’t constitute ‘hard use’ in anyone’s book. I have used this titanium folder like many fellow urbanites will probably use a pocket knife: peeling and cutting up fruit, opening envelopes and packages, and cutting off the occasional loose thread. I also used the Ti N5 as a paring knife in the kitchen, to give it a better workout. And at the end of the month, I used the Native 5 to cut down a stack of cardboard boxes for the recycling pick-up. I didn’t baby the knife, but I also didn’t go out to baton through tree trunks or try to cut bricks. The fluted Ti N5 performed beautifully. It’s an awesome pocket knife, period. 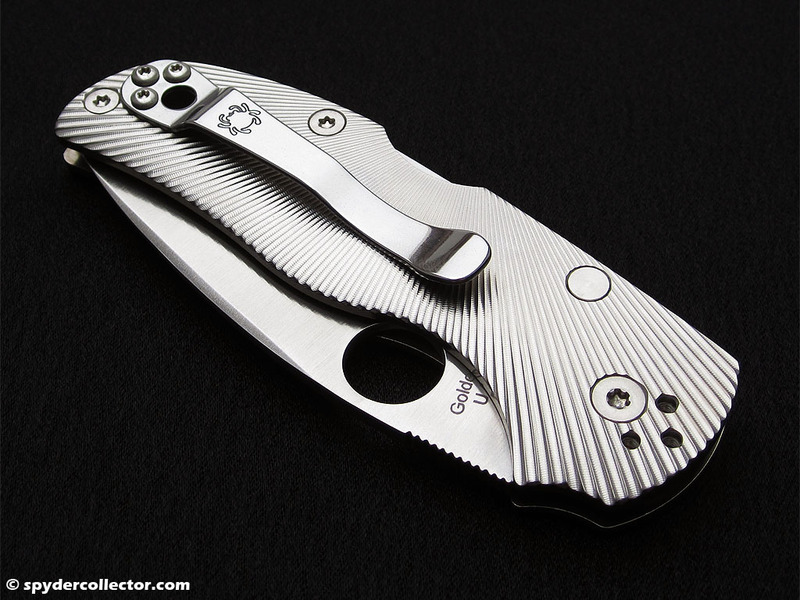 The titanium handle scales are slightly radiused and become thinner when they reach the bottom edge of the handle, i.e. the part of the handle you’d wrap your fingers around in an edge-out grip. The grip on the fluted titanium handle is very good. I found it very comfortable and it didn’t create any hotspots during longer cutting chores. The edges of the fluting were not sharp on my sample. 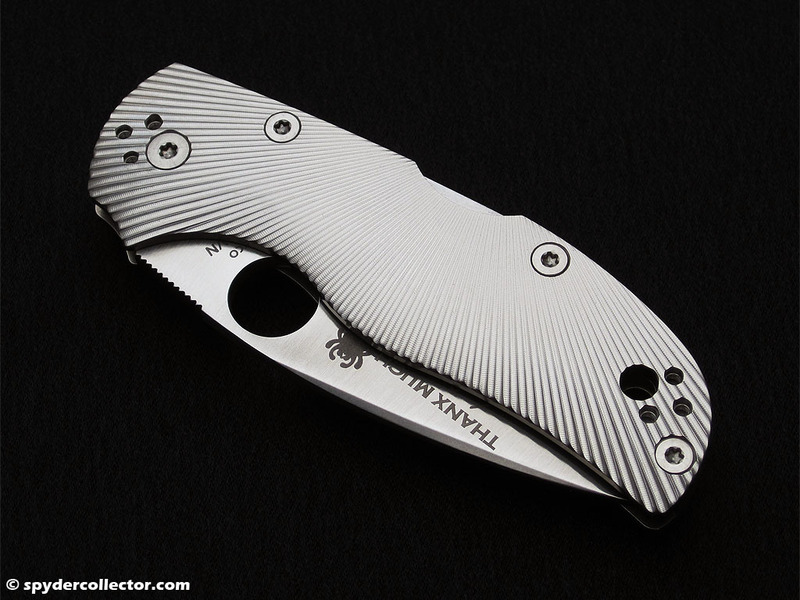 The titanium N5’s handle is probably just as thick as the G10 N5. I don’t have calipers on hand but comparing the two side by side seems to show that both handles are equally thick. The titanium N5 doesn’t use liners, so in pictures it might seem a lot thicker than the G-10 version. The Ti Native’s fit and finish is just spot on perfect. I can’t detect anything close to resembling a flaw in the fit and finish. If you’re really nitpicking, you’d notice the edge grind on one side starting one millimeter past the start of the heel of the blade. Then again, that’s a part of the blade I’d probably have trouble reaching with my Sharpmaker stones anyway. Furthermore, I’ve also noticed this on the blade of my G10 Native 5. The N5’s blade is perfectly centered, the lock-up is solid as a rock and I can’t detect any flaws in the ‘fluting’. 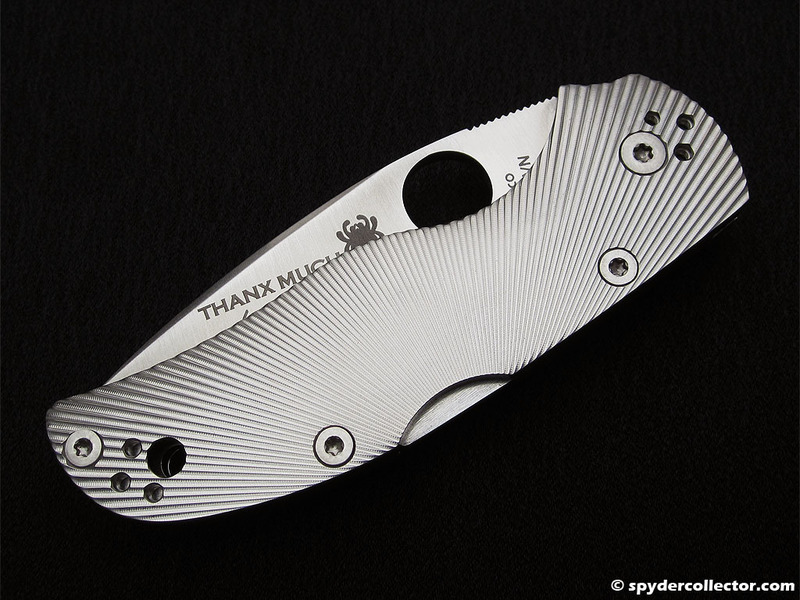 As an EDC knife, like Yablanowitz noted in his review, I also think this titanium handle is a bit too heavy for what I’m used to in a spydie this size. 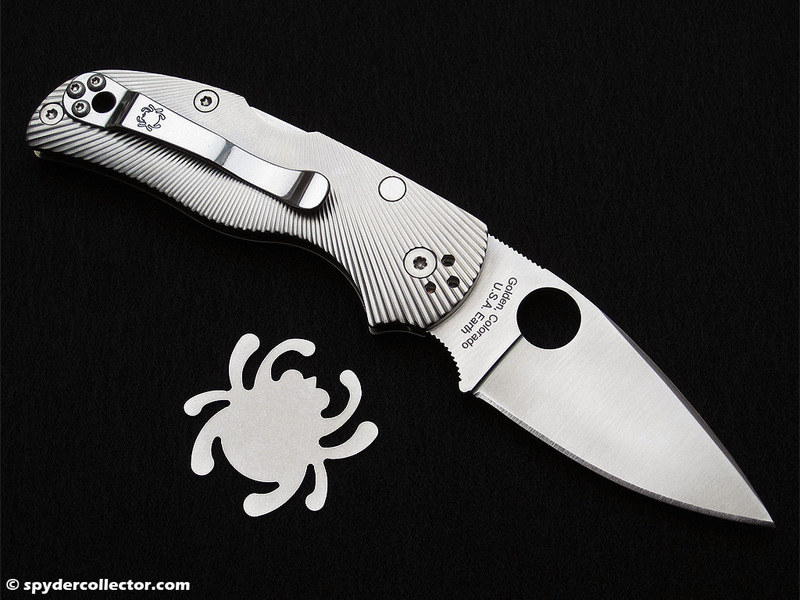 It’s definitely not too heavy; it rides just fine clipped to jeans or IWB. Carrying it clipped to loose fitting slacks, however, could be annoying. The titanium Sage 2, for example, is a much more lightweight piece. But that one isn’t as nicely finished as this folder. The production tolerances for this Golden USA made N5 seem to be tighter than the excellent knives made in Taichung. This piece is, of course, mainly attractive to afi’s. From a purely functional point-of-view, you’d be just as well served (if not better) with the lighter G-10 N5, that’s even easier to obtain. However, black G-10 doesn’t give as much satisfaction or bragging rights, as that bright fluted titanium handle. 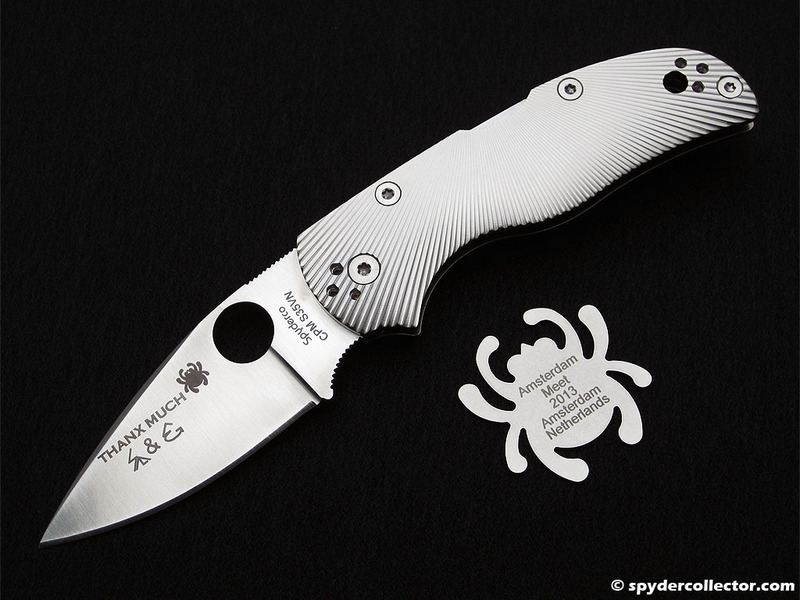 It’s an awesome pocket knife – truly a centerpiece in my collection. This entry was posted on Sunday, August 11th, 2013 at 12:35 pm and is filed under Collectibles. You can follow any responses to this entry through the RSS 2.0 feed. You can leave a response, or trackback from your own site. It looks absolutely beautiful, thanks for sharing.